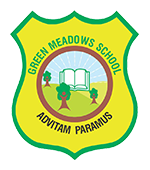 Welcome to the parents portal of Green Meadows School. If you are a parent of our student and still do not have an account on our website, please fill in the contact form below with your and your child's details (First name, last name, class, roll no & house) and submit. We will set up an account and send you an email with a link to set your password. Enter your username/email address/mobile number Your account password/Permanent Mobile Code Forgot password?